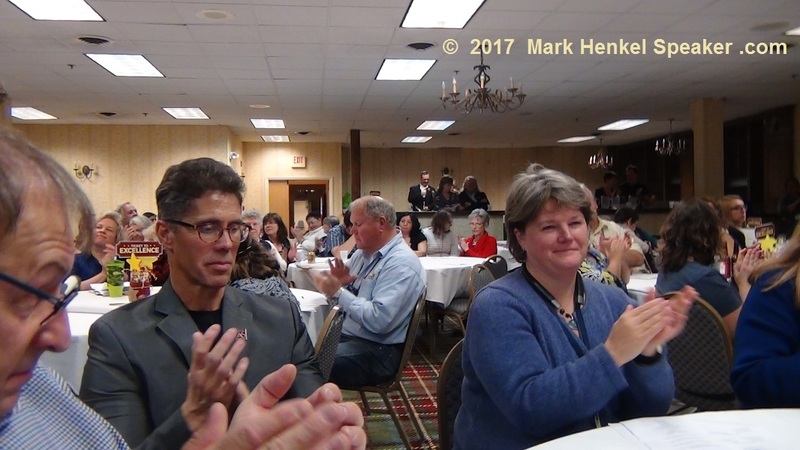 I attended the 2017 District 45 Toastmasters Fall Conference on November 3-5. 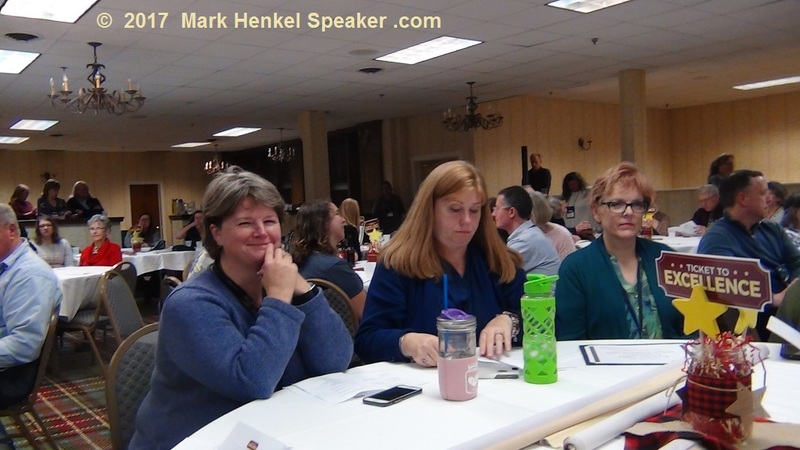 Sad to say, but this will be the last District 45 Fall Conference. 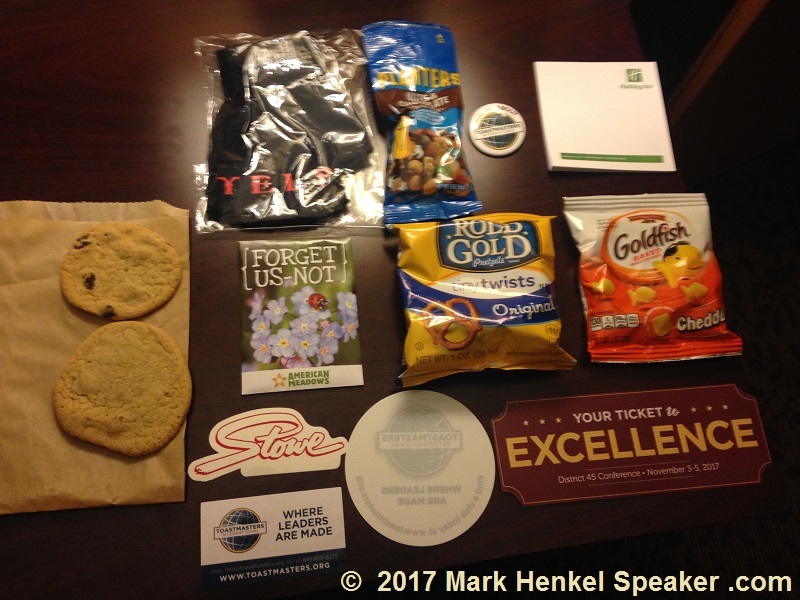 Toastmasters International has called for Districts to only have one annual conference to be held in the Spring, starting next year. 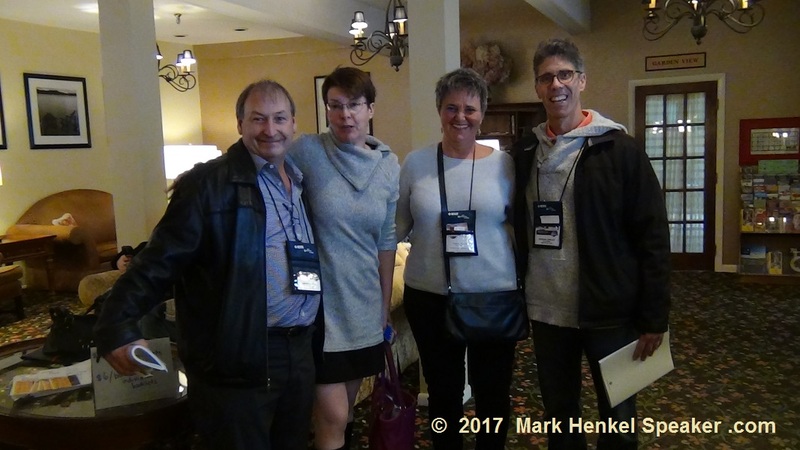 For the last Fall Conference, though, this was a blast! 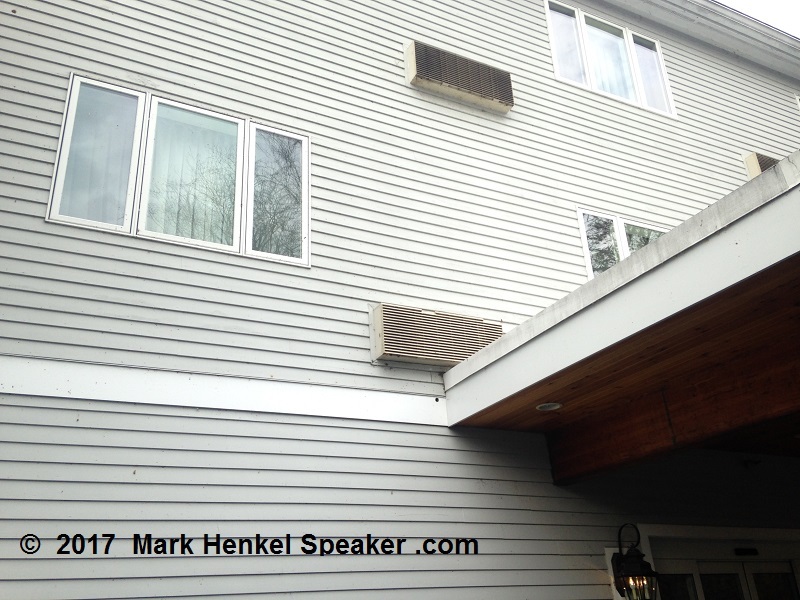 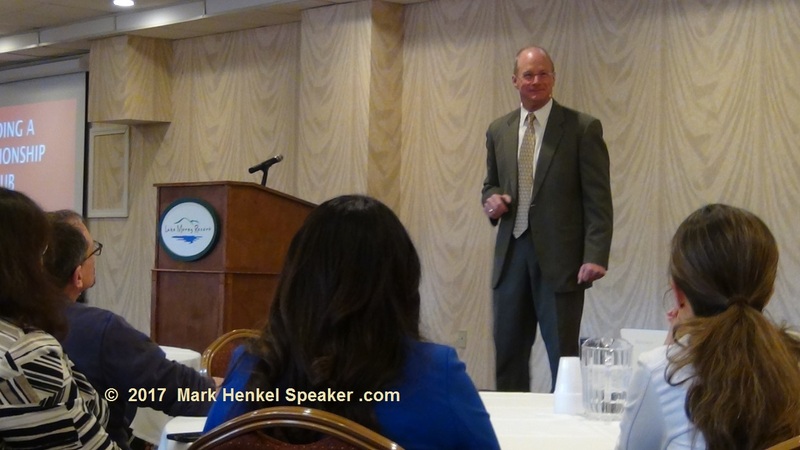 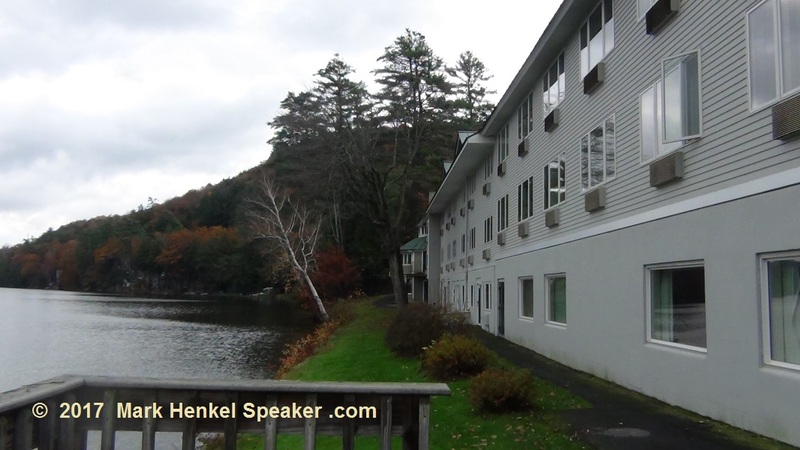 The weekend conference was hosted at the Lake Morey Resort in Fairlee, Vermont. 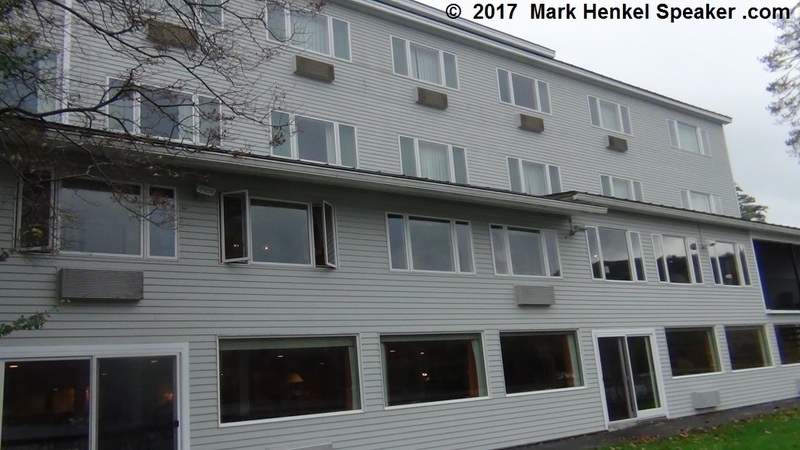 The ground-floor back-side of the building provided a vastly spacious dining room for breakfasts, with spectacular views of Lake Morey. 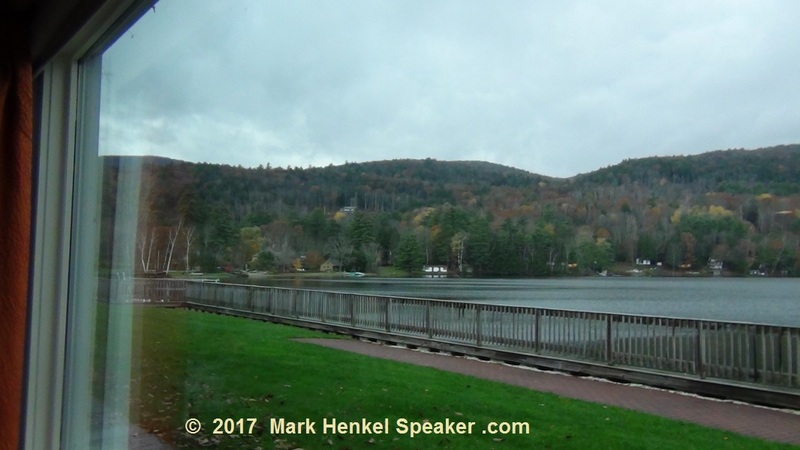 Stepping outside the Breakfast Dining Room, the panoramic view of Lake Morey was positively gorgeous. 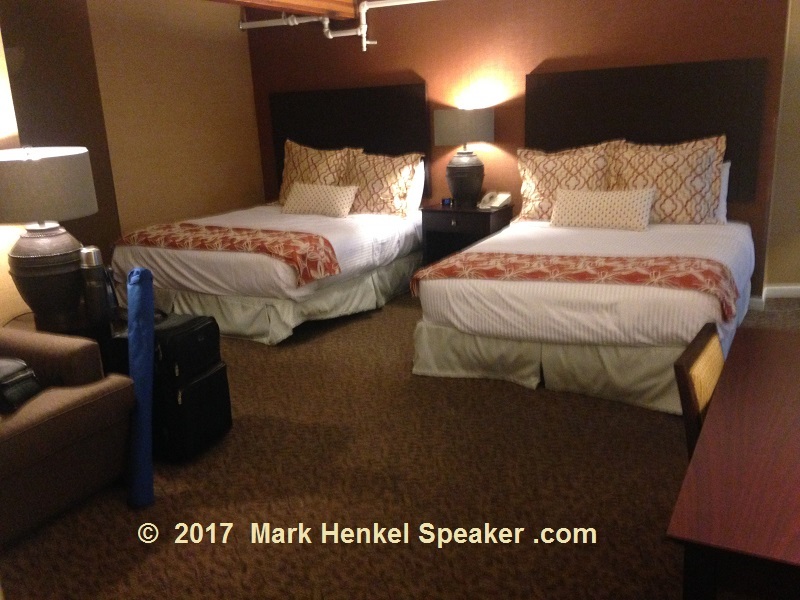 I shared a room with two other gentlemen, my mentor Joe Grondin and David Cormier. 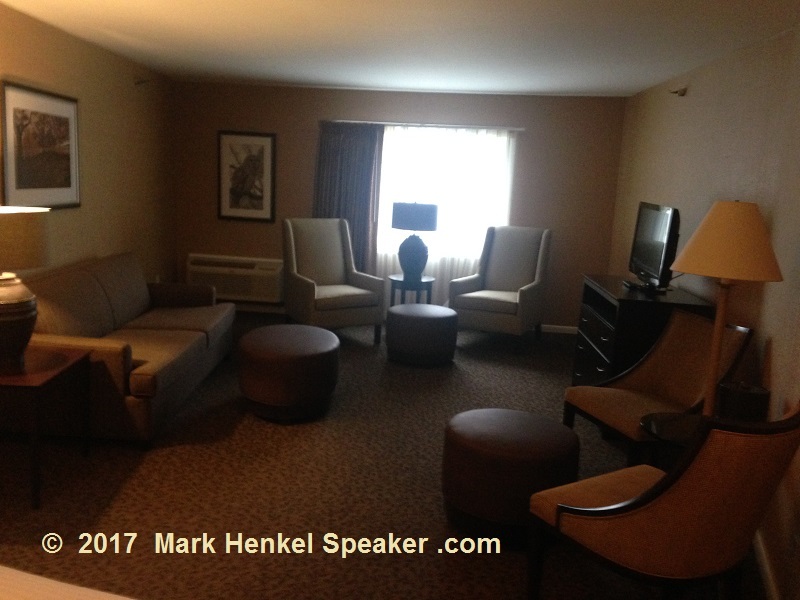 This room, which overlooked the Main Entrance, was extremely huge! 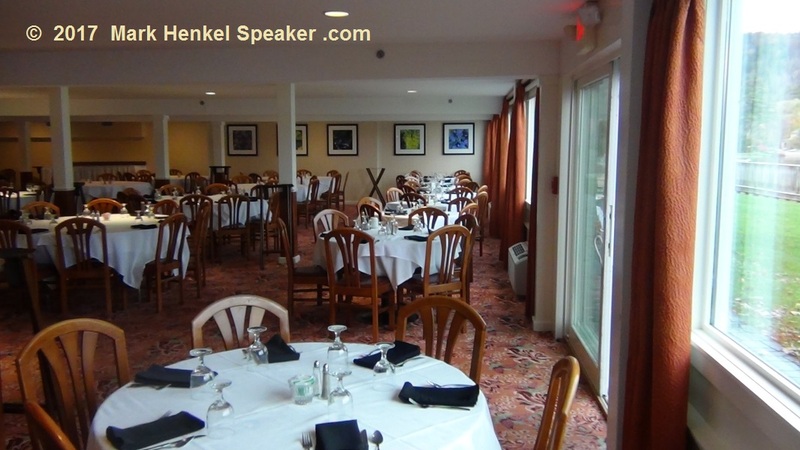 The functions throughout the weekend were such fun as well as productive, especially sitting at table with good friends. 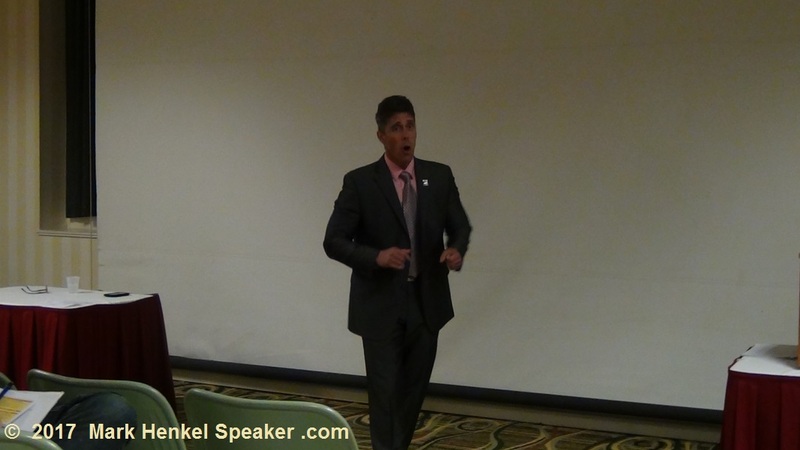 Goal Setting and Planning – “I DID IT!”. 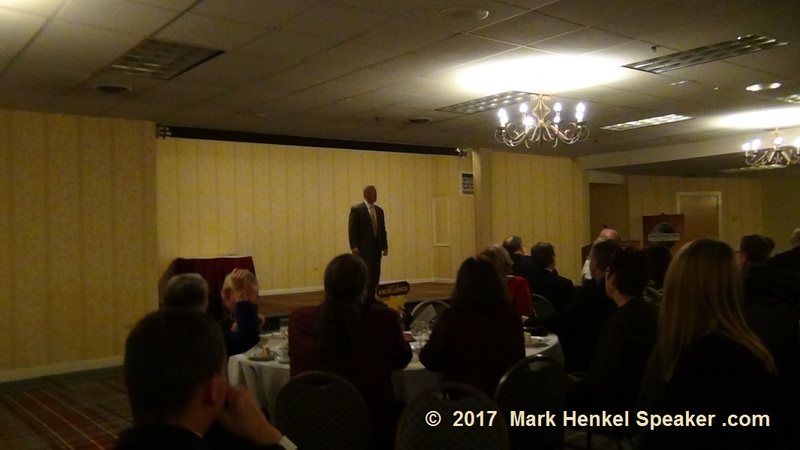 Because this was the very last District 45 Fall Conference, that means that this was the last District-level contest-cycles for the Humorous Speech Contest and the Evaluation Contest. 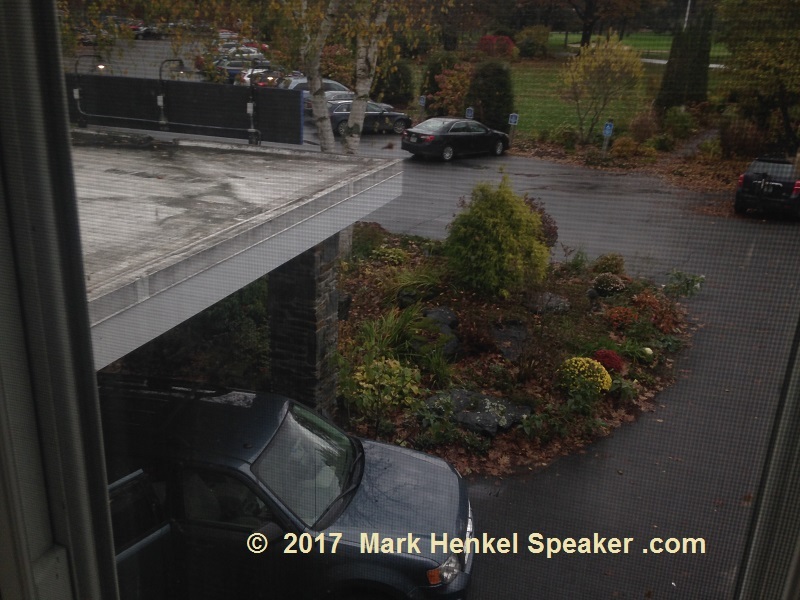 The other last & final Fall contest was conducted on Sunday morning. 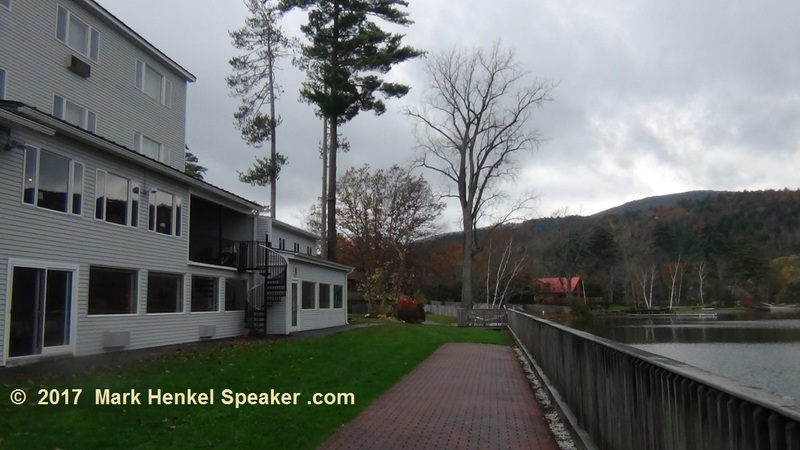 In my opinion, my friend from New Hampshire, Manasi Kadade, stood way ahead and showed us all how a truly Excellent Evaluation is done. 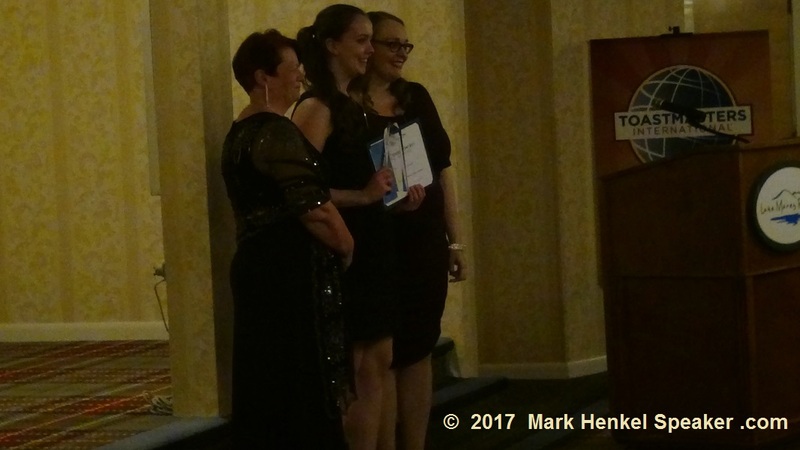 As genuinely well-done as the other contestants’ evaluations were, I was of the perspective that there really was never a doubt that she had won 1st Place. 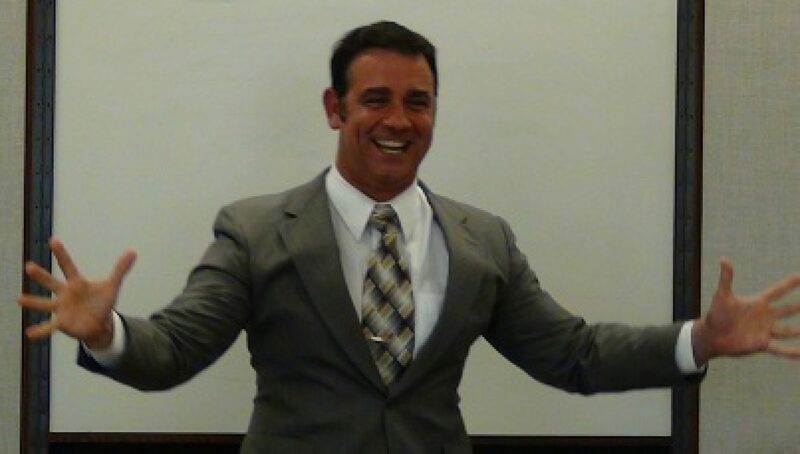 Lance Miller, the 2005 World Champion of Public Speaking (WCPS). 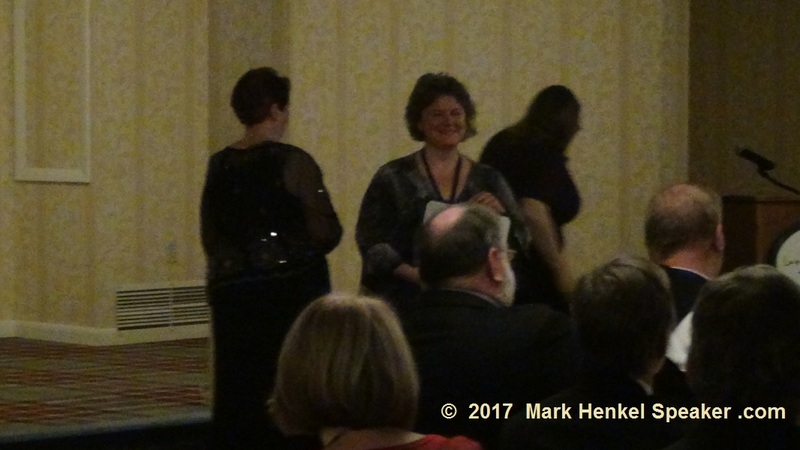 At the Awards Ceremony, I received two awards. 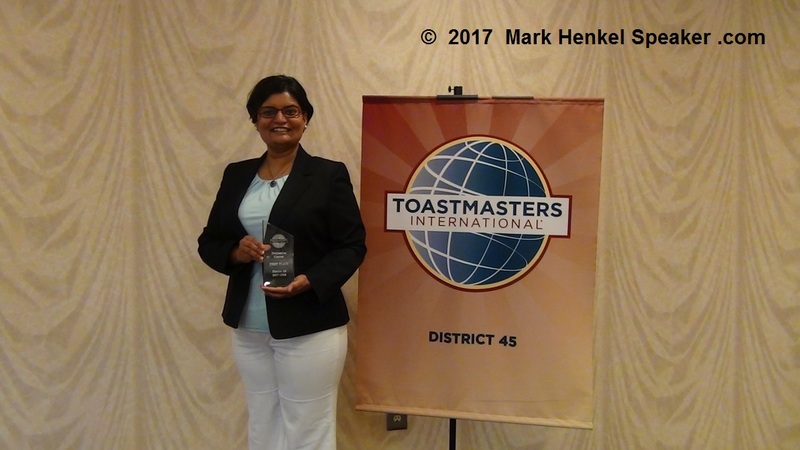 The first award was for sponsoring at least 5 or more new Toastmaster members throughout the previous fiscal year (July 1, 2016 – June 30, 2017). 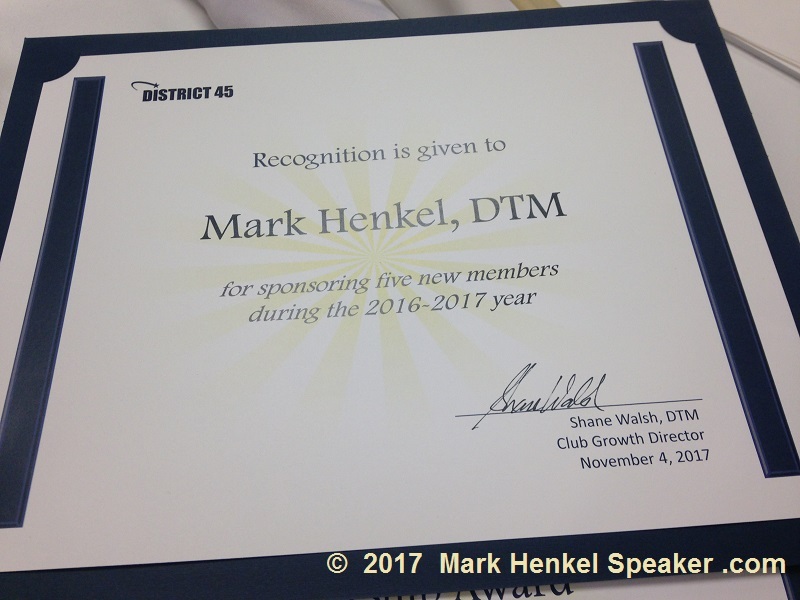 Actually, I had sponsored 15 new members of the previous year. 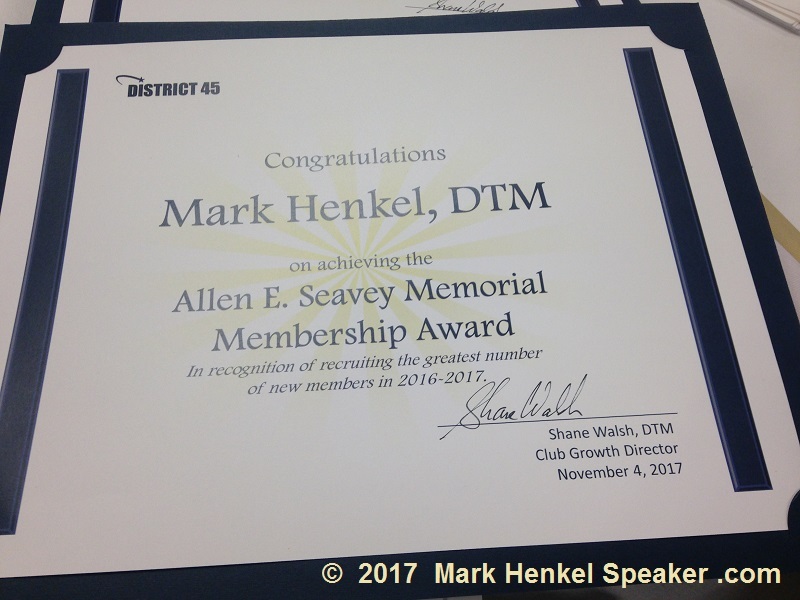 As no on else in District 45 Toastmasters had sponsored as many as that number, that qualified me to earn the Allen E. Seavey Memorial Membership award. 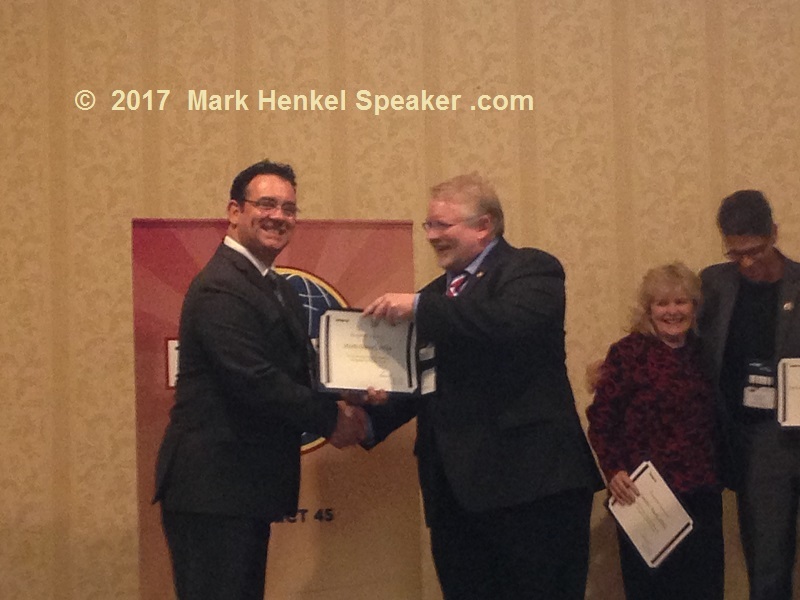 This was not the first I earned this presitigious award, nor was it the second time. 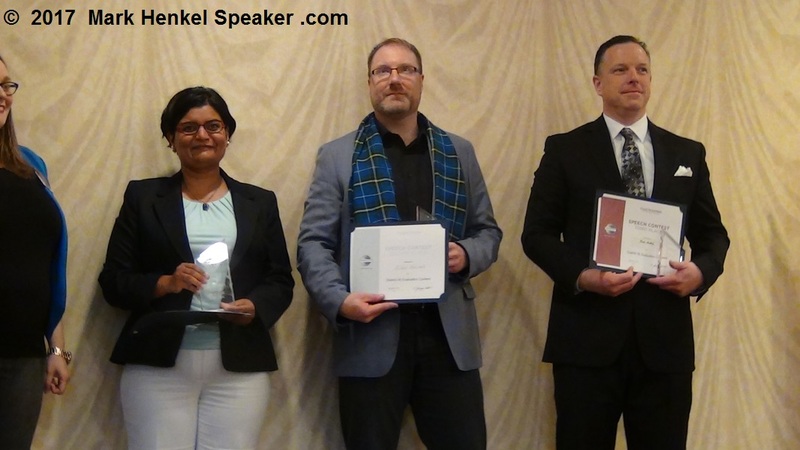 After earning for 2012 (18 new members) and for 2016 (16 new members), this last year (2017) is now the third time since I joined Toastmasters in 2010 that I have won (earned) this award. 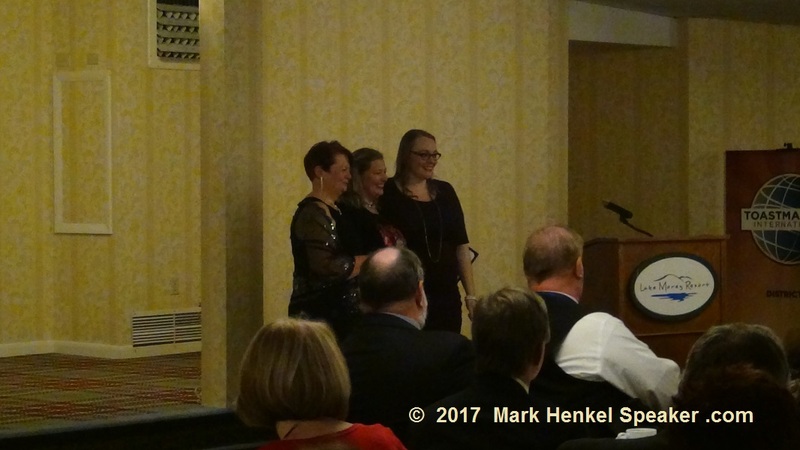 I admit that I was rather stoked to have actually been able to earn this award for the third time. 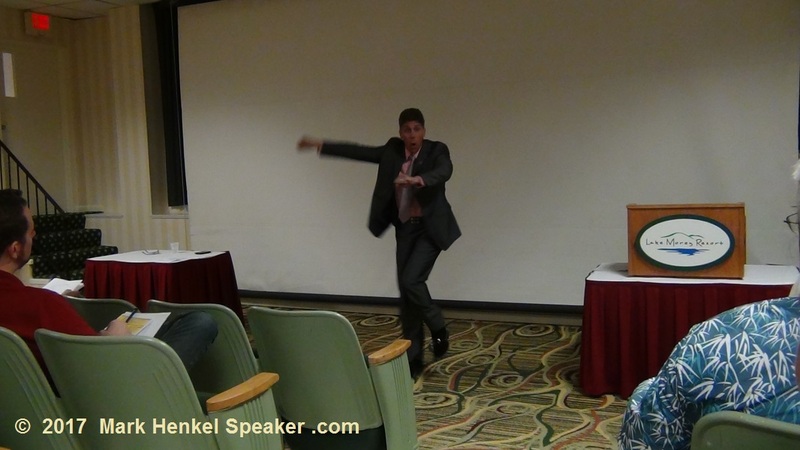 Truly, this last and final District 45 Toastmasters Fall Conference was full of fun and education. 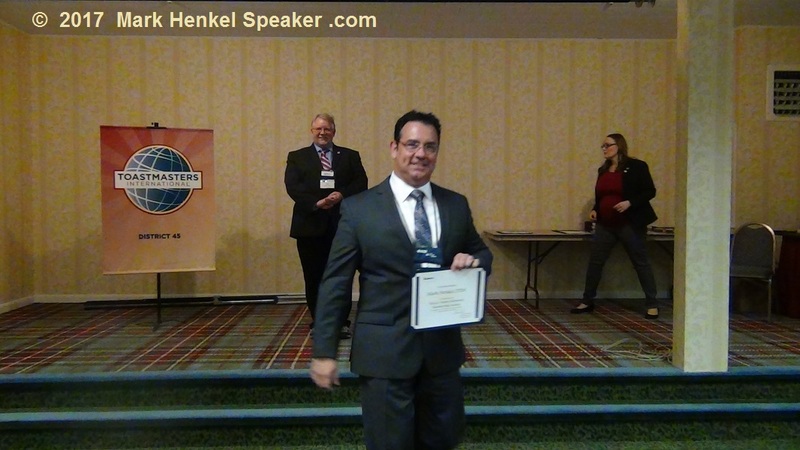 Best of all, seeing old friends is one of the best reasons for attending the Distirct 45 Toastmasters Conferences. 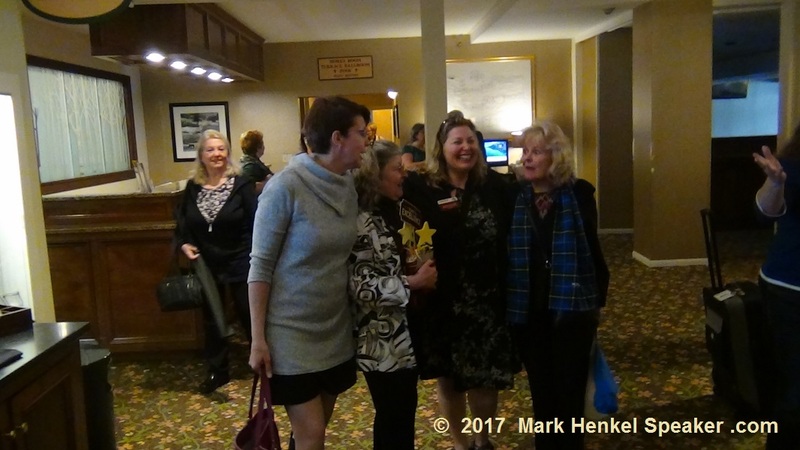 D45 Fall Conference 2017 – Deb Steeves from Canada poses with the New Hampshire ladies, Sue Francesco, Angi Francesco, and Candice Buell. 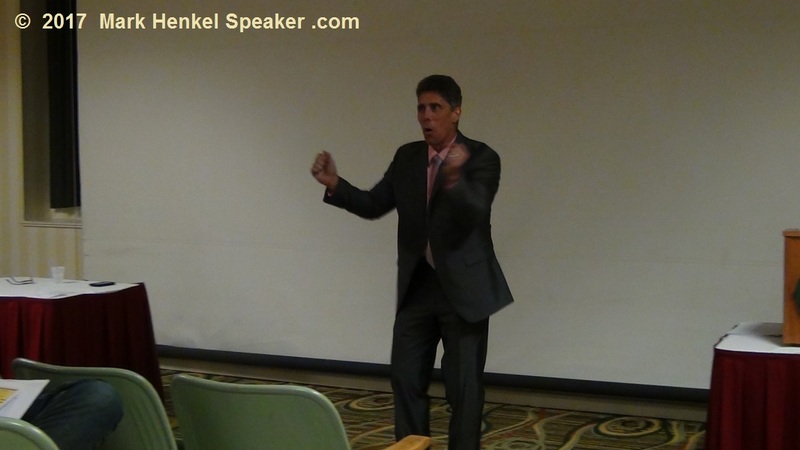 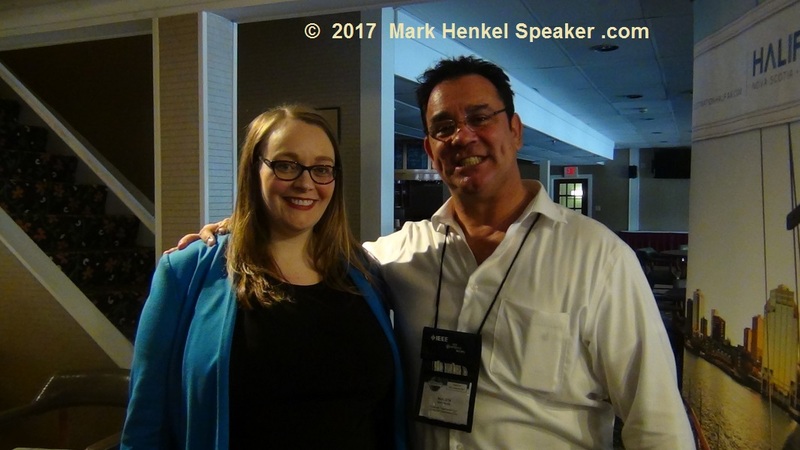 Most of all, for me, the biggest value was having live (non-skype) time to learn directly from my amazing mentor, Accredited Speaker, Joe Grondin. 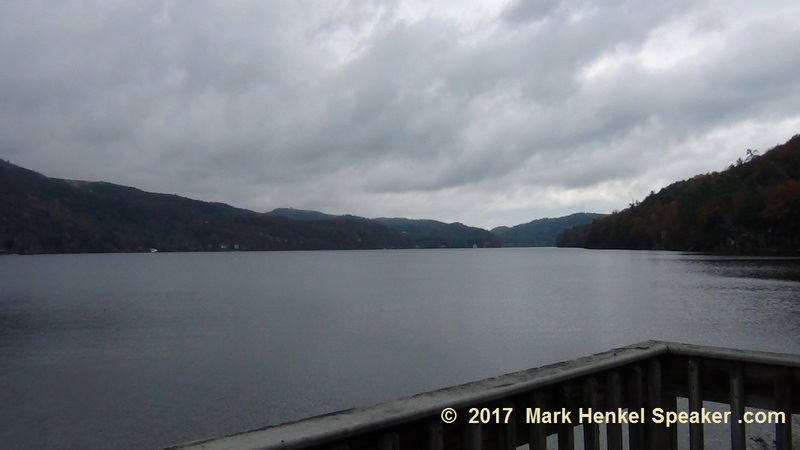 What more can be said? 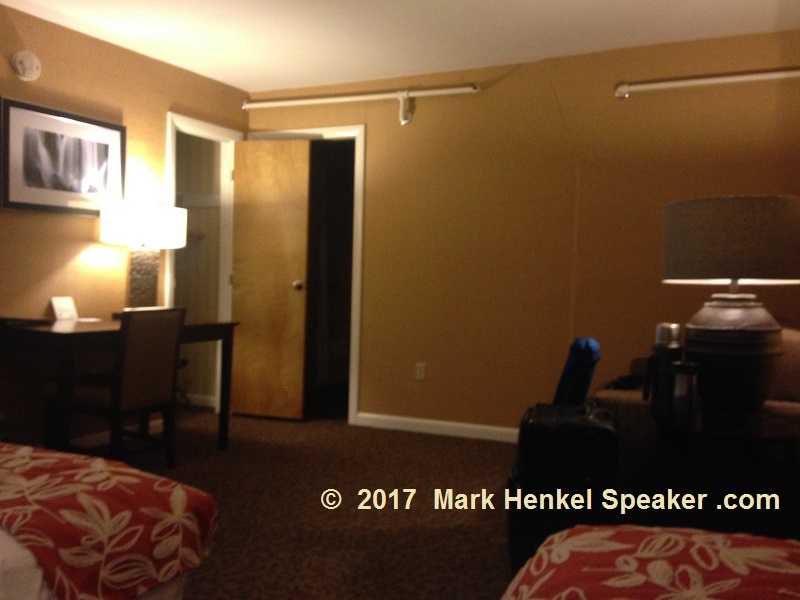 Not much else, really. 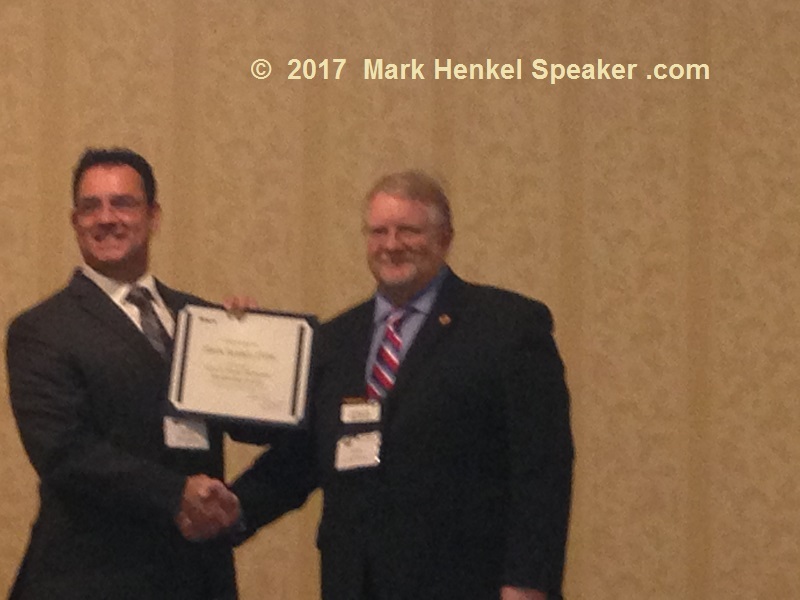 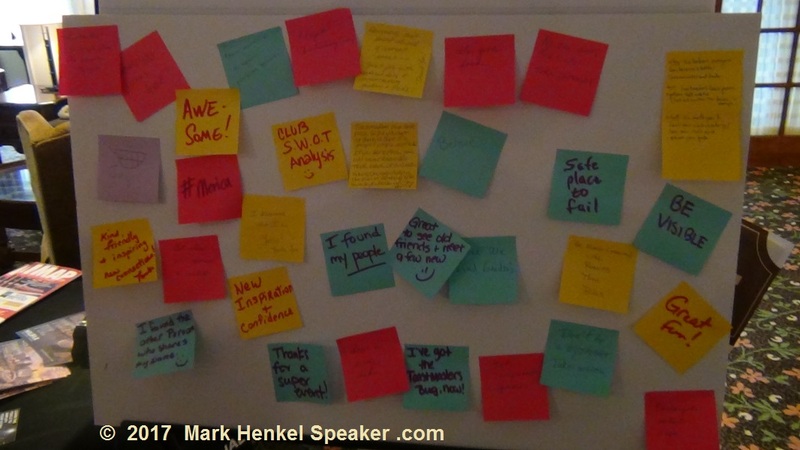 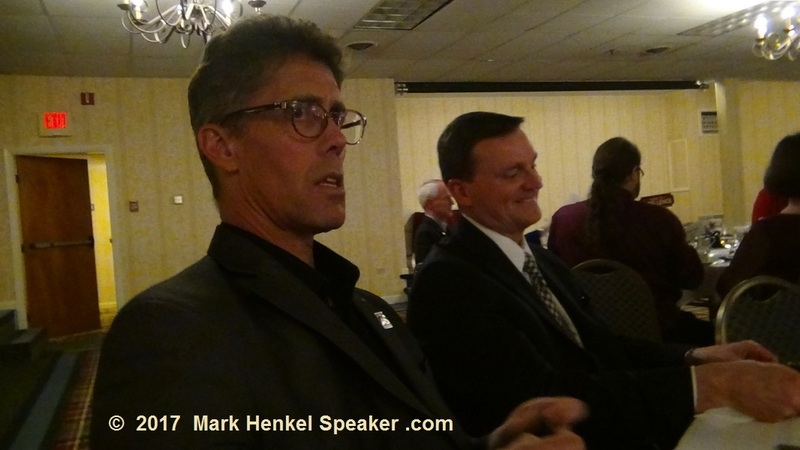 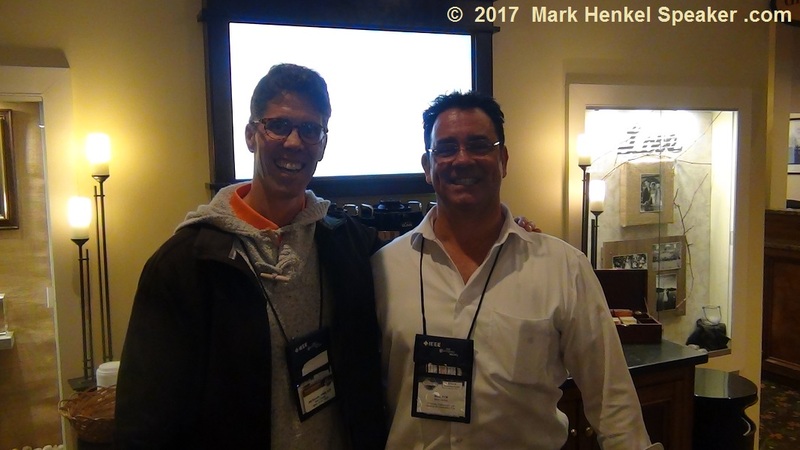 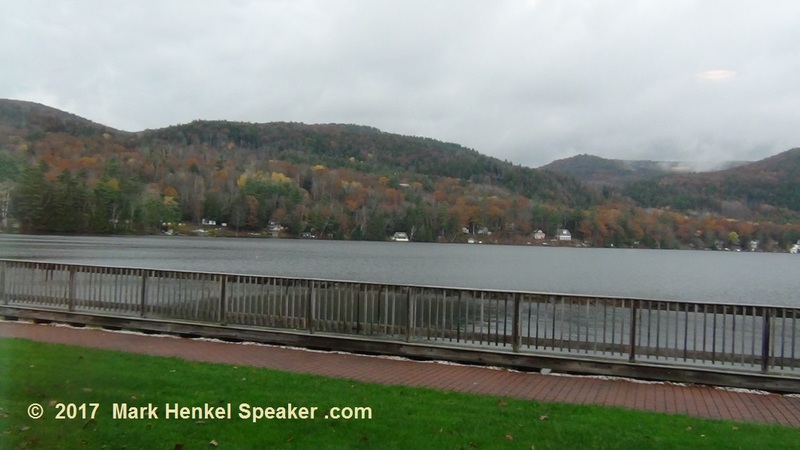 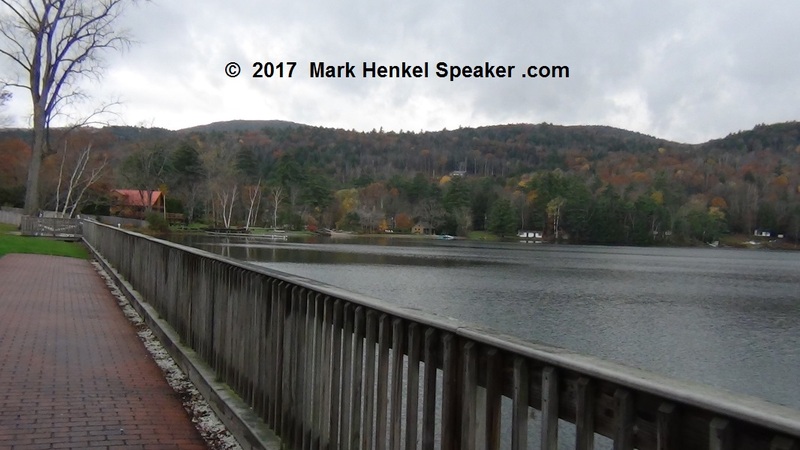 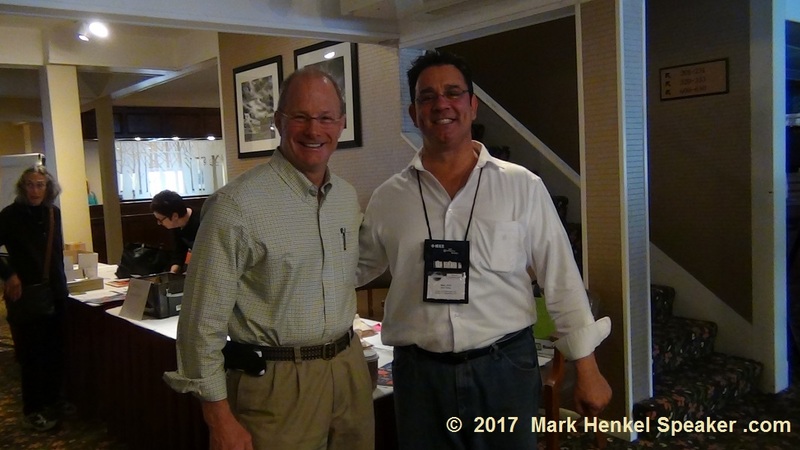 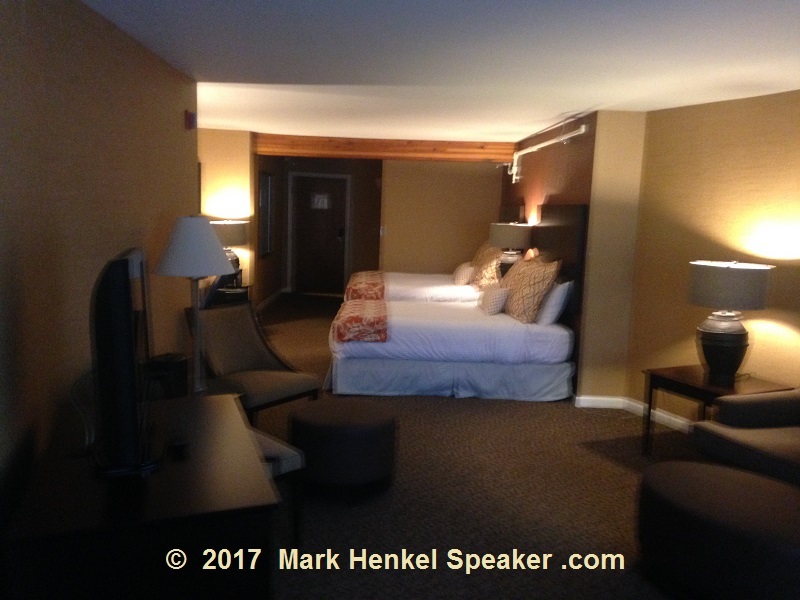 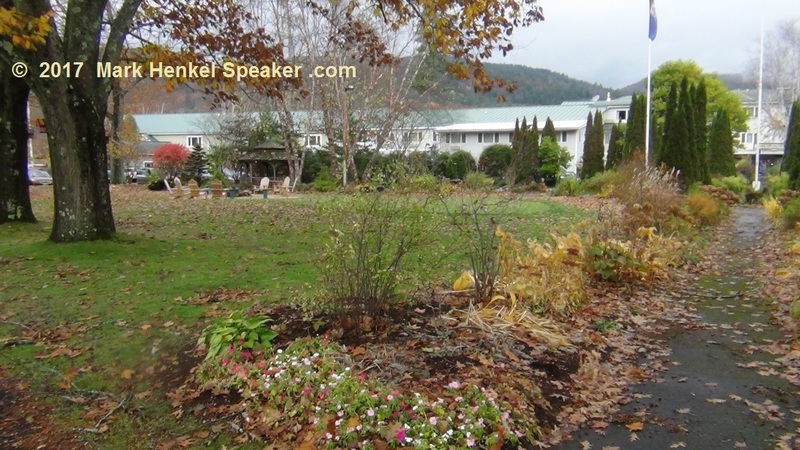 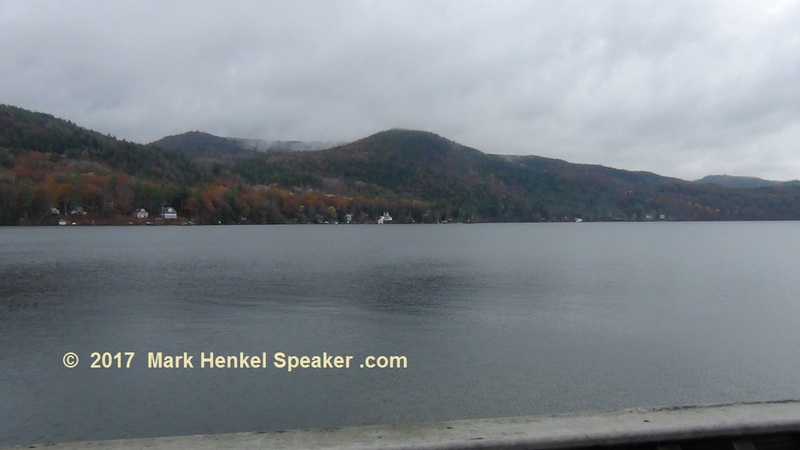 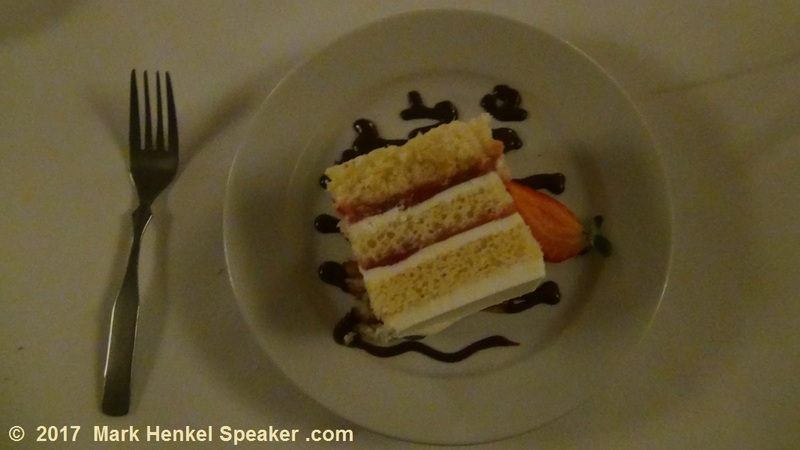 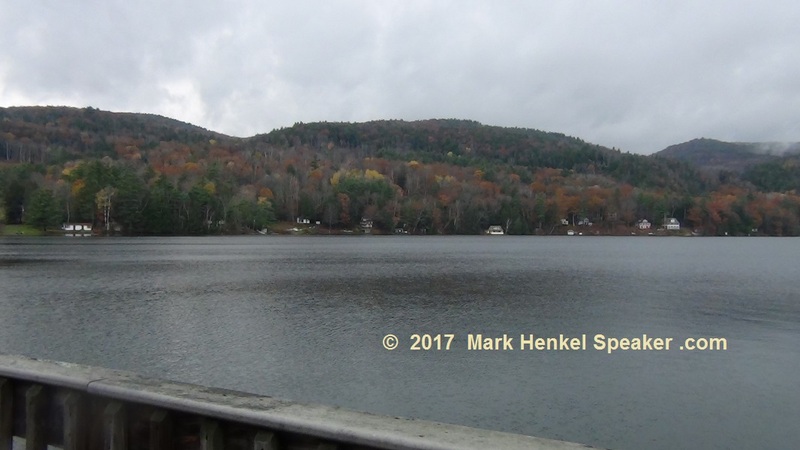 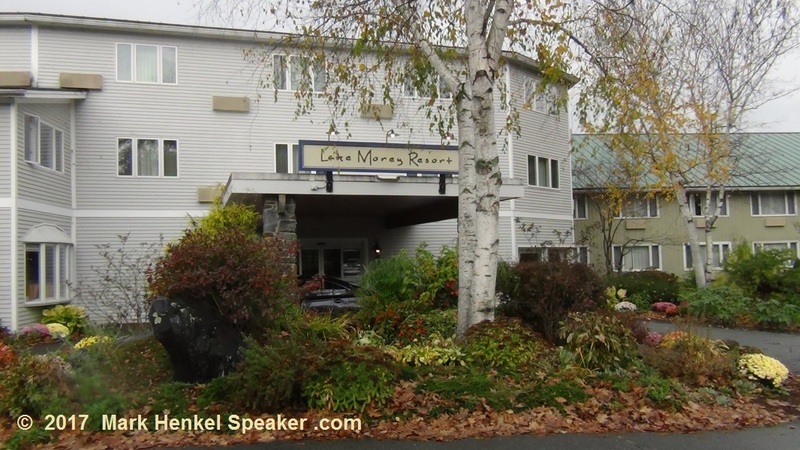 This was a fantastic and productive time at the last and final District 45 Toastmasters Fall Conference, at the Lake Morey Resort, in Fairlee, Vermont, United States, on November 3-5, 2017.